Come and join us for an evening of clairvoyance with medium Steve Holbrook. Whatever your views on clairvoyance are, Steve has an extraordinary gift, and whether or not he has a message for you, you will be guaranteed an evening like no other! Using his own words, he acts like a telephone exchange between this world and the next. An emotional rollercoaster ride of an evening, not to be missed! 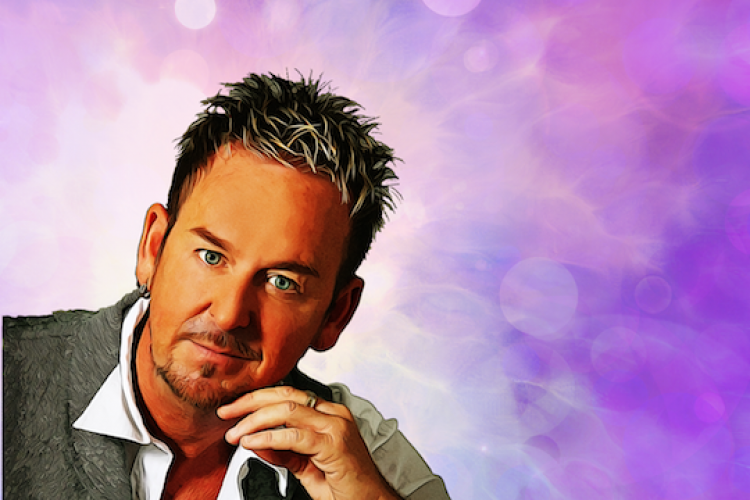 Ex-hairdresser Steve Holbrook is regarded by many as one of the UK’s top clairvoyant Mediums. His ability started from behind the salon chair, and he now visits theatres and hotels around the country, and as far as the Caribbean, demonstrating his unique ability to act as a telephone exchange between this world and the spirit world. Steve started work in Leeds city centre in a busy hairdressing salon, and feels that the years he spent behind the chair, having that personal contact with the customers, stimulated this rare, yet natural ability to hear the voices of spirits. People used to come in and book for their hair cut, and often got more than they bargained for when he passed on a message from their loved one. Steve was always the busiest stylist, and had a six week waiting list. He now gives messages of re-assurance to people who have lost their loved ones and, by communicating with them, helps them understand that life continues, just simply in a different dimension. One of Steve’s best friends is singer and TV presenter Jane MacDonald, who he met in a Spiritualist Church many years ago and went on to predict her future appearance on BBC TV show The Cruise. Jane has dedicated her auto-biography to Steve, calling him her inspiration and guru. Steve has also raised tens of thousands of pounds for charities over the years, including his local hospice in Wakefield, Macmillan Cancer Support and PACT Sheffield.